The western third the range is about 29 square kilometers (11 sq.mi. & 7000 acres) and has at least 25km of trail. Much of it is 4x4 road and two track. It is not my favorite area to ride, but it clears of snow early in the year, and the hills are big. So it makes for a good early season training area. Plus it is right on the edge of the city, so it is easy to get to. Review: This is a barren mountain on the south side and partially forested on the north. There are lots of tracks running through it. It is flanked by the Tuul River on the west and north sides. Most of the climbs are 1200'-1500' (300-460m) and about 2.5 to 3.0 miles long with some hike-a-bike areas. The descents are blazing fast and rocky in places. You have to manage rocks, ruts, little jumps, and some off camber portions -- all enough to keep you alert on the descents. 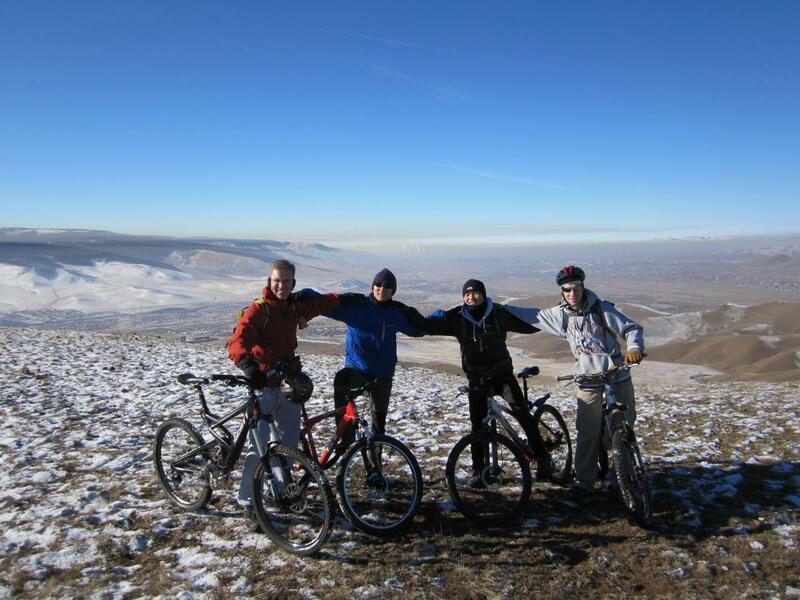 Bayanzurkh Uul West MTB Trail 3.00 out of 5 based on 1 ratings. 1 user reviews.